Home » Cheap and Good? » Might the ZA Cosmetics Impact Lash Mascara Volume be an affordable solution to a pricey mascara problem? This is their Volume formula which is supposed to “Lavish eyes with thick, sumptuous lashes”. The brush is curved and although it looked long, it is actually quite a good fit for my eyes. It is supposed to be have been designed for Asian eyes and it suits mine which are quite flat. The bristles, as you can see, aren’t very long nor are they placed too close to each other. For some reason though, it works for me. They manage to catch most of my lashes in one sweep and the effect is quite dramatic, at least for me, because my lashes are quite non existent to start with. See why I’m happy? This ZA mascara just turned my lashes from nothing to something 😛 This is about 2 coats on my lashes. I do have one gripe. Some days, when I apply the mascara, it applies a little clumpy. Other days, it applies easily. This is, I guess the difference between this and the Shiseido Perfect Mascara or RMK Curl mascara or even Paul & Joe Curly mascara which has no problem with clumpiness whatsoever. But then those are also more than double the price of this one. Stands to reason. I’ve found that to avoid this clumpy problem, I brush the mascara wand lightly on a piece of tissue before applying to my lashes and then the problem is taken care of. One additional benefit (other than price) for me is that this mascara is much easier to remove than the Shiseido Perfect Mascara. I can remove it quite easily either with eye makeup remover or cleansing oil and warm water. It lasts all day without smudging and another very important point for me – does not weigh down my lashes! If anything, it holds them up in a curl all day long and that makes me very happy. An affordable mascara that delivers sufficient volume and length to define my lashes. It is easy to apply and stays on all day without smudging. Removal is easy with regular eye makeup remover or cleansing oil and the formula does not weigh down my lashes. I am quite happy with this mascara and will definitely consider a repurchase. I have read of people having problems with flakiness. I did not experience this. I wore this, and watched Real Steel where I teared up and sniffled a little – its a feel good movie ok? I felt good 😛 – and it was fine. Unlike Majolica Majorca which I cannot use, I had no problems with this one. 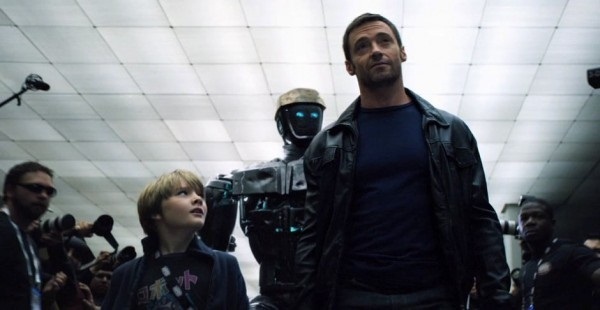 Did you watch Real Steel? When I first saw the trailers I was a bit blah about it. But I went to see it anyway, for want of something better and I loved it! 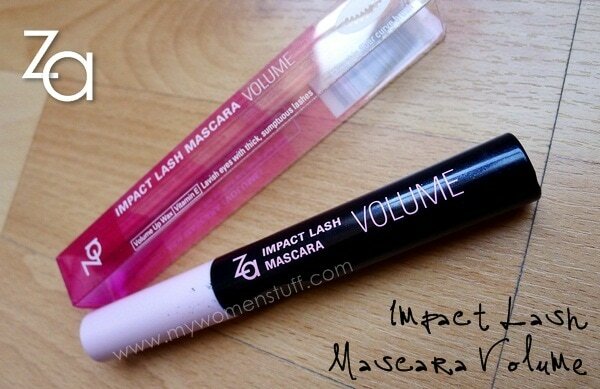 ZA Cosmetics Impact Lash Mascara comes in 3 versions – Volume, Length and Wide Eyes and retails at RM32.90 at ZA counters at most leading pharmacies. Watch out for discounts! PREVIOUS POST: My Women Stuff Nails it! Hehe! I don’t think its available even in America 😀 Its the name – so misleading! OOOO! I’m now itching for a new mascara, but I’ll wait. I still have 2 that are currently in rotation, teehee. Long time back, Loreal has this mascara called Longitude( around 2000 to 2001 I guess) undeniably its one of the best of the best mascara! too bad they have d/c the mascara. Ooo, it sure does provide volume! AND it holds a curl? Impossible. 😛 I’m liking the look of the brush and how it curves since I have a flat eye shape as well and large brushes make applying to the outer corners so difficult. Za is an overseas-only Shiseido brand, if I’m not mistaken. I used to love the Cutie Curl mascara, affordable and does a decent job for it’s price. I think it’s already discontinued with this new launch of mascara? I love the lengthening one, i think the formula was better than the volume one. Not sure if it’s just me, but I find that most of the volumizing mascara tends to be clumpier than the lengthening counterpart. Yes I think ZA reformulated and renamed their whole range. Its now all pink and girly when it used to be blue and yellow before. 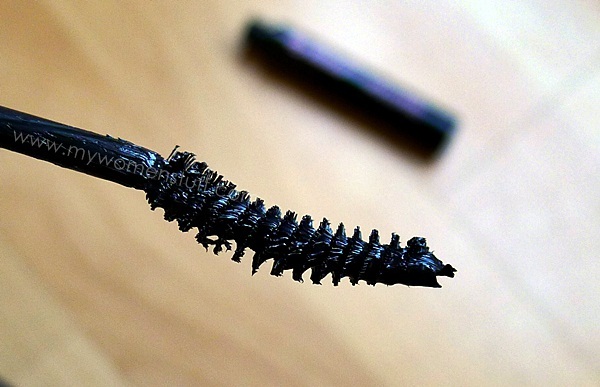 I have more problems with lengthening mascara because of the fibres in them. They usually irritate my eyes. I’ve got mine in Length but I will said it is just fair in performance. I need a coat of Clarins Double Fix Mascara to prevent the fiber keep falling out. However, it holds curl and create dramatic lengthening results onto my lashes thou. I have problems with lengthening mascara too because of the fibres 🙁 I shall bear this in mind if I try the Length one – thanks for drawing my attention to it! thanks for the review PB! 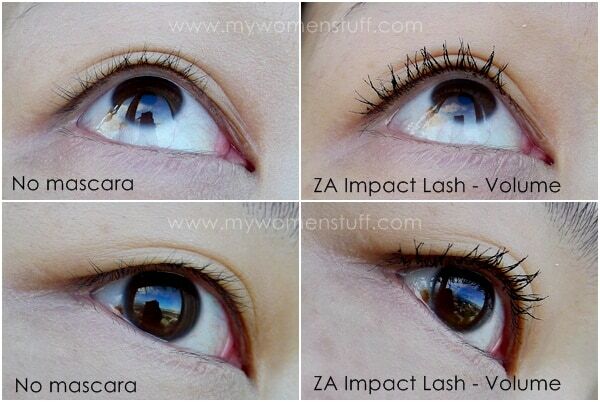 I am keen to see how the ZA impact mascara wide eyes will fare. I heard that the results are dolly and luscious lashes! on a side note, ZA new york is not found in new york at all.. noticed that they did not indicate ZA new york on the packaging anymore. I like that Real Steel too!! Yeah…I think the little boy is really talented, he brings out the character and show his enthusiasm very well. And their father-son relationship is a touching one. I was not expecting much frm the movie, but the effect was good, I cried towards the end, but I felt good…. Oh good! I was not the only one shedding tears 😉 I think it was a lovely movie and unlike other movies I couldn’t bear to tear my eyes away from the screen. Loved the robotic action too! Now I want to tryyyy! Evurl woman! I’m using this Volume formula too! !Chose this as I have naturally long lashes to begin with and the first time I used it, the result was marvellous. And then it got more and more clumpy with each use 🙁 I think it dried out a little each time I use it? Thinking of combining it with the Wide formula, enhance the volume and then widen the lashes to enlarge the eyes. Apparently all three formulas can be used together but not at one go of course. Give it some time to dry out after each application. But the Watsons outlet I went to ran out of stock can you believe it??! The shelves were almost empty! Hi Grace – Thanks for sharing your thoughts on this mascara 🙂 Mine does get a bit clumpy with use too but I just wipe it down and it seems fine. Your combination sounds like a hit! Thanks for sharing it. You should try the wide eyes version of this series! I have gone through 2 tubes of them andhave 2 backups of it.. lol. That says a lot cos I hardly find mascaras that work for me and dont take forever to remove such as the Majorlica Majorca Lash Expander Frame Plus:) The comb brush is fantastic and give my lashes definition which doesnt happen often enough for my thin asian lashes.